Cozy studio above Main Street! This delightful studio vacation rental has a “Queen Air Sleeper Sofa.” The main room has a skylight, providing wonderful natural light (there are no exterior windows), and an AC unit in the wall. There is also a 42” HD TV and wireless internet. The retro kitchen is equipped with a small range, refrigerator, microwave and all the necessities to be a comfortable. There are two closets for ample storage. The bath includes a tub shower combo, hair dryer, shampoo, conditioner, bath gel & lots of extra towels The laundry room is just down the hall. 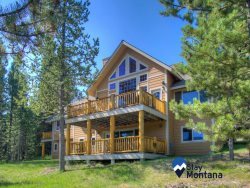 This vacation rental would work well for over flow to any of the last five one-bedroom vacation rentals, if extra room were needed for part of all of your stay. The best. Thanks, Joe and David, for answering questions so quickly and Joe for actually coming over to the Studio to help us with the technology. My sister and I had a great time in our little apartment. It was so convenient to everything downtown. The reservation details were clearly explained through the confirmation email along with several phone number options to call for questions. I felt I had unlimited access to a team member. The downtown location speaks for itself. Always had parking in the rear of the building. Bedding was comfortable. Laundry facility came in handy. The ability to store luggage/equipment/clothes in the 2 large closets made the "studio" feel much larger.